This one may have slipped your mind, but remember a few years ago when Michael B. Jordan was attached to a remake of heist classic The Thomas Crown Affair? It's okay if you forgot; as someone who adores the original and the 1999 remake with a fierce passion, I wanted to forget it, too. 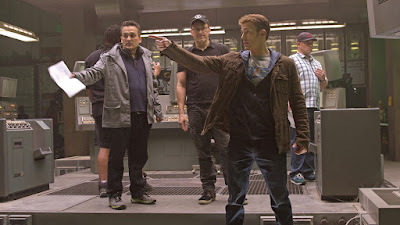 Well, it's still happening, only now it will have the creative influence of Avengers: Endgame directors the Russo Brothers. Deadline reports the Russos' production company AGBO has joined with MGM to co-finance a number of projects, with the duo given full creative control over original projects and remakes of studio classics. One of those remakes will be the aforementioned Thomas Crown Affair, with Jordan still on board to star. For those who may not know the story, it follows a wealthy businessman/art thief who becomes romantically involved with the insurance investigator looking into his crimes. There's a chance the Russos get behind the camera for this one, directing a script most recently penned by World War Z's Matthew Michael Carnahan. Also in the works for AGBO is James Madigan's live-action/animated The Rats of NIMH, along with an original project titled Hacienda.